In 2016, we teamed up with Cartoon Network to do something that had never been done before: Run a “game jam” event for an IP that had not yet been fully developed, but was destined for an international release as an animated television show. There’s one question in there - What is a game jam? We certainly weren’t strangers to game jams at the time (the CNGJ was my 16th), but this one was very special to us. We were not only doing something new from a business perspective, but also creating an exciting environment that many game developers have wanted to participate in since they were young: work with awesome properties like those from Cartoon Network! For OK K.O. creator Ian Jones-Quartey, it was a culmination of childhood dreams to see his characters and stories turned into games after accomplishing the huge feat of creating an original show for a fan favorite animation network. And jammers loved working with OK K.O., too! During the weekend of Valentine’s Day 2016, almost 200 game developers came together to form 41 teams and make 42 games! As I said, we’ve experienced this before (perhaps not with so many people), but this jam was going to be a bit different: teams were submitting the games they made over 48-hours to a Cartoon Network -judged competition for the opportunity to win funding for a full length commercial game release! And after two years, we’re finally able to share our work and more documentation of the event; game developers who participated in the jam are, too! 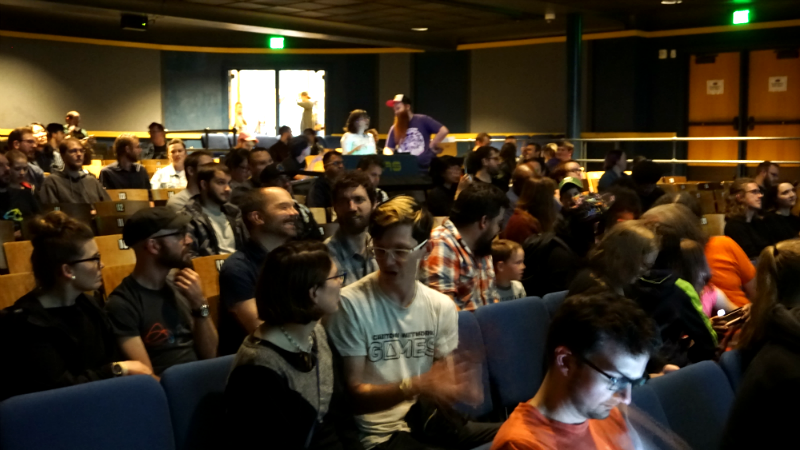 Two weeks ago, we hosted a screening of documentary materials paired with a showcase of the games that were made at the jam, welcoming everyone back to celebrate the closing of the project and reveal new documentary footage that no one had seen before! It was a pleasure to be a part of this project and celebrate it with our community: we learned so much and have been able to improve our internal processes as a result. Since the Cartoon Network Game Jam, I’ve personally hosted 31 jams by this date, including new models that support Rose City Games professionally in IP concept creation, narrative design, and game design. Make sure to watch the Cartoon Network Game Jam Documentary & Vignettes for inspiring tips on staying creative and making games! I’ll personally be participating in PIGSquad’s Summer Slow Jams this summer and recounting the Cartoon Network jam myself!